With maybe a quiet glass of Prosecco. Interested in improving your confidence and communication skills? Want to ace that next interview, deliver a cracking speech at a wedding, or just have fun and meet new friends? Come join the Dunfermline Toasties at our next public open night – our Spring Party! Toastmasters International has over 15,000 clubs in 135 countries. The global mission is to empower people to become more effective communicators and leaders, developing confidence in a friendly and supportive environment. Our new Fife club meets in Dunfermline and we are having a Public Open Night on Thursday 16th March. 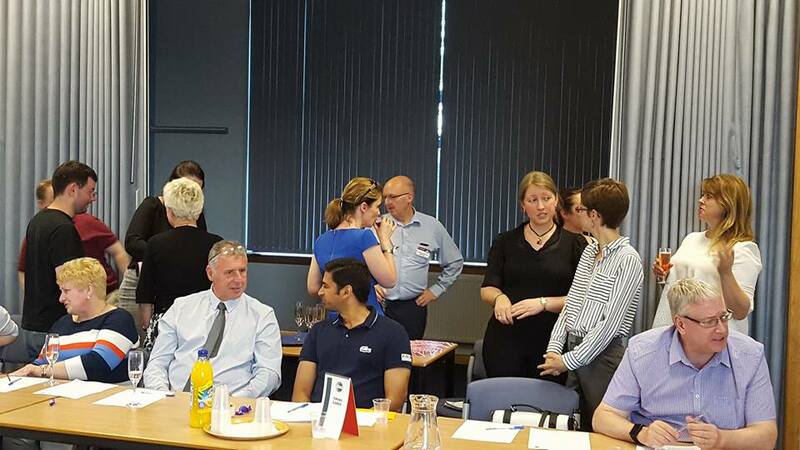 We invite you to come along, join us for some informal drinks and networking, and observe a meeting where you can learn more about what we do at Toastmasters and how we can help you on your path to leadership and excellence. We have a programme of exciting speakers and our local members will be on hand so you can get to know them and ask questions too.